Home » Health » What Is Atopic Eczema? Atopic Eczema is a skin disease characterized by persistent itching and reddening of the skin rash. The rash and itching can appear in one or more areas of the body, and the itching will feel worse at night. 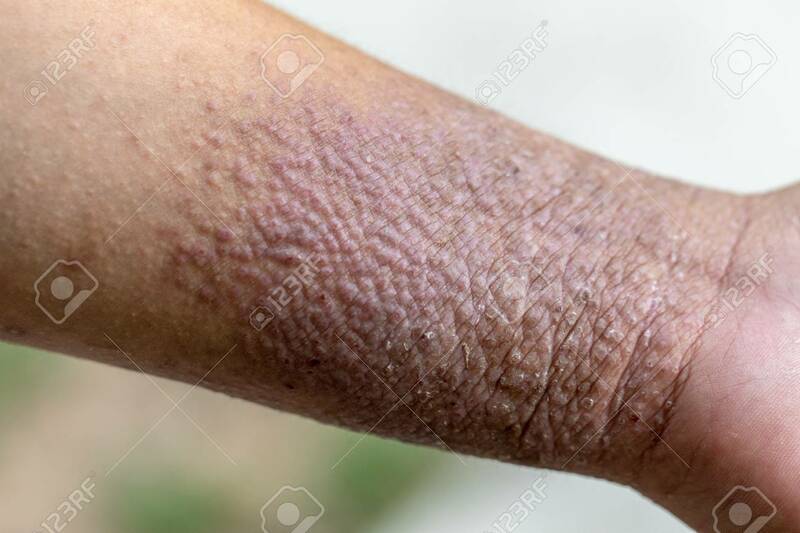 In addition to rashes and itching, people with atopic eczema can also feel other symptoms, such as skin becoming rough, thickened, and scaly. In certain cases, skin problems can cause pain and even bleed. Atopic eczema is a condition that often occurs in infants. However, it does not rule out the possibility of children, adolescents, or adults. Atopic eczema causes discomfort, and can interfere with appearance, which can reduce the sufferer's confidence. To relieve symptoms, there are various ways that can be done. Doctors can provide the right medicines to treat patients with atopic eczema. In addition to getting medication from a doctor, patients can also undergo therapy that can improve the skin and relieve symptoms and reduce patient stress. Each patient can feel different symptoms. In toddlers, the symptoms of atopic eczema are scaly, red, and crusty skin on the cheeks, scalp, hands and feet. Whereas in children and adults, the symptoms of atopic eczema that often appear are red rashes and are very itchy in the area behind the neck, knees, and elbows. A prominent rash and discharge. The skin around the eyes is darker. Chapped skin, peeling, and bleeding. The skin on the palm of the hand or the area under the eyes shrinks or wrinkles. Itching that appears worse at night and if scratched, the skin will become thicker, appear pockmarked or hollow, and darken. Continuing to scratch the area of ​​the problematic skin can trigger infection. The patient must immediately see a doctor if a red and sore colored lump appears. The cause of atopic eczema is uncertain. However, there are allegations that this is a disease passed from parents to children. Irritation is considered as one of the triggers for the emergence of atopic eczema. The use of products for bathing, such as unsuitable soap or shampoo, is believed to cause skin disorders and trigger atopic eczema. Food allergies, such as allergies to cow's milk, eggs, beans, soybeans, or wheat. Allergies to exposure to the environment, such as cold temperatures, dry air, animal hair, and plant pollen. Material that is uncomfortable and can cause irritation, such as wool or synthetic fabrics. The air is dry and dusty. Exposed to water temperatures or air that is too cold or hot. Treatment of atopic eczema primarily aims to relieve symptoms that appear. There are many ways that can be used to relieve symptoms of atopic eczema, from self-care at home to administering medication. The doctor will determine the treatment method that is appropriate to the patient's condition. During treatment, patients are advised to maintain healthy skin while avoiding factors that can trigger or worsen the condition. Avoiding trigger factors can be done by changing soap, using skin moisturizer after bathing, or not using clothing material that can cause a rash. Treatment of symptoms can be done by administering drugs in the form of topping, drinking, or injecting. The dermatologist will prescribe medication according to the symptoms experienced by the patient. Corticosteroids, for example methylprednisolone . This drug is used to relieve inflammation. Tacrolimus. This drug is used to relieve symptoms of itching while repairing damaged skin. Antibiotics, such as amoxicilin and ciprofloxacin . This drug is used to treat bacterial infections as a result of continuing to scratch. Bandage therapy. In this therapy, the problem area of ​​the skin will be applied with corticosteroid drugs, then wrapped with wet bandages. This therapy is done to treat atopic eczema which is classified as severe and requires hospitalization. Light therapy. This therapy uses special light that is exposed to the patient's body to relieve the symptoms that appear. Light therapy is done when topical drugs cannot treat atopic eczema. Despite its effectiveness, light therapy has harmful side effects. Therefore, the treatment of atopic eczema with this therapy is not recommended for children and infants. Counseling. One of the factors thought to trigger and aggravate the symptoms of atopic eczema is stress. With counseling, a psychologist or psychiatrist can help patients deal with stress. Wrap the problem area with a bandage to protect the skin. Take a warm bath, but don't overheat. Choose soap without perfume and coloring. Use air moisturizer at home. Choose clothes that are soft and cool to use. Control the stress that appears. Self-care at home can also be done by using skin moisturizing products or taking itchy relievers. However, it would be better if consulted with your doctor first. It is feared that the use of drugs or skin products actually worsens the existing conditions. Atopic eczema that does not get proper treatment has the potential to cause complications. One of them is neurodermatitis. This condition not only causes itching, but also the skin will become thicker, rough, scaly, and change color. In fact, itchiness is felt to be more itchy if scratched. In addition to body health, atopic eczema can also have an psychological impact on the sufferer. Damaged skin conditions and interfere with appearance can reduce the patient's confidence, even trigger bullying . 0 Response to "What Is Atopic Eczema?"